Nearly one year after announcing the formation of a cruise joint venture in China, Carnival Corporation confirmed Friday that it has signed a memorandum of agreement to build two Vista-class cruise ships in partnership with the China State Shipbuilding Corporation (CSSC). 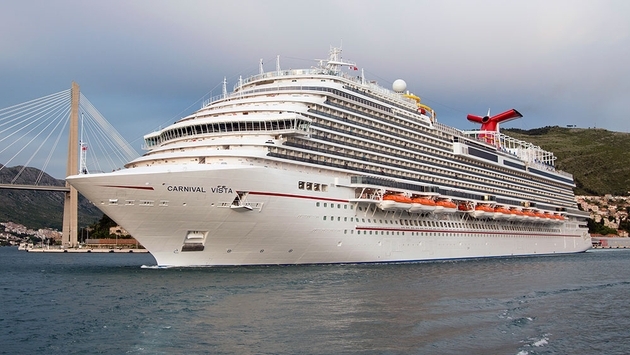 The two ships, which will be built on the Carnival Vista platform, will operate in China under a domestic cruise brand as part of Carnival Corporation's joint venture with CSSC and the China Investment Capital Corporation (CIC Capital). The agreement is significant in that it would signal the first time a new cruise ship was built in China for the Chinese market. The ships will be built by a joint venture between CSSC and the world's largest shipbuilding company in Italy's Fincantieri Shipyards. "Carnival Corporation’s cruise joint venture in China will operate the new ships as part of its plans to launch the first multi-ship domestic cruise brand in China," Carnival said in a news release. "Based on Carnival Corporation's Vista-class platform, the design for the new ships will be tailored for the new Chinese cruise brand and the specific tastes of Chinese travelers." The first ship is scheduled to be delivered in 2022. In the meantime, the new domestic brand is expected to launch with ships purchased from Carnival's existing fleet. According to Carnival, the memorandum also gives it the option to order two additional China-built cruise ships. "We are excited about the potential for the first new cruise ships to be built and deployed in China for the enjoyment of Chinese travelers, which will be an important milestone in the development of the Chinese cruise market," Carnival's Global Chief Operations Officer Alan Buckelew said in a statement. "As we work with our Chinese partners to launch the first domestic Chinese cruise brand in the next few years, being able to offer cruises on China-built cruise ships represents a new opportunity for us to generate excitement and demand for cruising amongst a broader segment of the Chinese vacation market, which is already the largest in the world and continues to see strong growth every year." Carnival and its partners also announced Friday that the cruise joint venture has been granted approval to incorporate in Hong Kong by the Chinese central government.